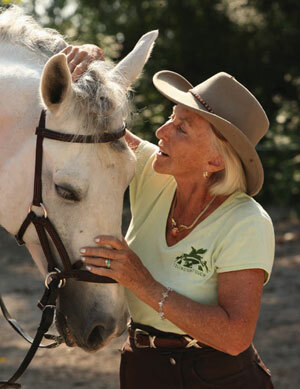 Karen Robertson on Carlos at the George Morris clinic. Photo by Lisa Pleasance. 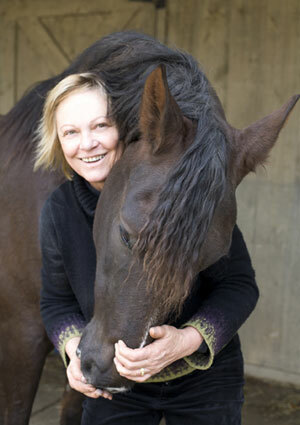 TSB author Karen Robertson shared her hopes and fears for her clinic date with The George in May (click here to read her first post). Now she’s back to tell us how it all went down. 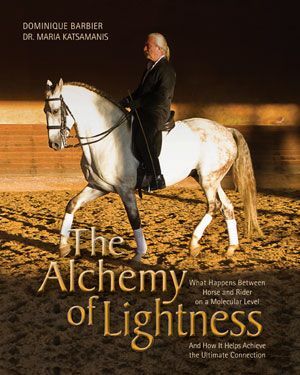 To tell the story about what it was like for me riding with George Morris in late May, I need to start the week before the clinic, when I showed at Sonoma’s Spring Classic Show. It’s a gorgeous place and such a wonderful show, but Carlos and I had a really rough week…. 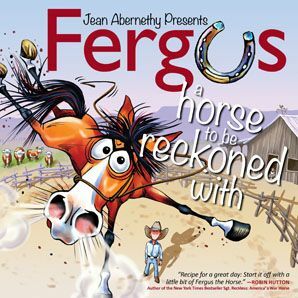 It was the kind of show where the wires get crossed and each day ends with a frustrated feeling of not being strong enough or fast enough or smart enough to ride well enough in any key moment. Seven good jumps didn’t cut it when the eighth was a stop. I got in my head. I started trying different things to end the pattern of choking… a better night’s sleep, more caffeine, or more breakfast. I walked the show grounds with my ear buds in listening to badass music to get myself fired up before I got on for the next class. But at the end of the show, I drove away from Sonoma Horse Park without ever digging myself out of the rut and laying down a solidly good trip. The familiar, consistent feel I’d had all winter with Carlos had been shaken badly; my riding was full of doubt. Needless to say, it was not the kind of show you want to have just days before your first time riding in front of George Morris. 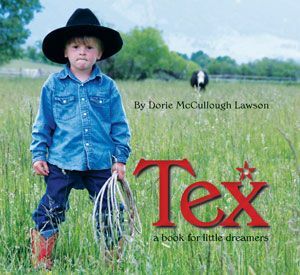 The eight-hour drive north from Bend, Oregon, to the clinic location went smoothly, but I was full of restless anticipation. After a quick hack in the indoor and settling the horses in for the night, waves of nerves gave me goose bumps as I watched the farm’s crew collecting piles of cut grass from the beautiful front field in preparation for the next day. 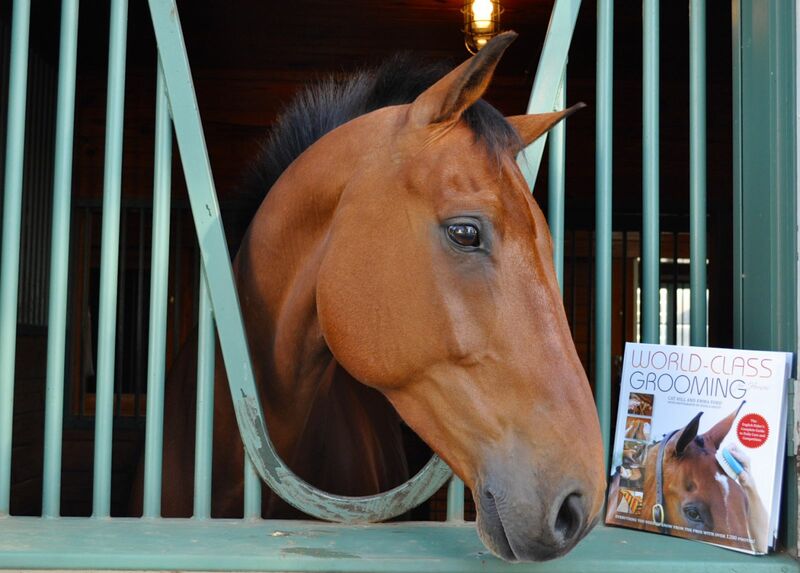 In the morning, I was washing Carlos’s legs in the wash stall at the front of the barn when I saw George pull up. I walked out for a quick hello, gave him a kiss on the cheek when he stepped out of the car, and then scurried back in again to get ready. It had been just over a year since I’d seen him last—at the Easter Wellington book signing—and saying hello settled me. I was ready to put the previous week behind me and try my best for him. I nodded with a ghost of a smile as I walked by him. After all the waiting, having registered six months before, it had begun. As soon as that familiar cadence of George’s teaching—like the lecture of a college professor weaved with pointed instruction—began on that first morning, I found my nerves had passed. I settled into a mindset that stayed with me throughout the clinic: total concentration on following his direction exactly…with a strong dose of hustle. After watching George coach so many other riders in past years, it was absolutely surreal to have his voice speaking to me. It raised my focus to a calm but primed state of being present. I tried to absorb the big picture concepts while also being alert to react quickly. The first day I was most concerned with riding boldly and not allowing the klutzy moments that had plagued us the week before in Sonoma. Carlos felt great—a little fresh but not wild. He ogled the ditch behind an oxer when we flatted by it, but when it came time to jump it, he didn’t hesitate. I found myself breathing barely whispered “Thank you” and “Good boy” praises to him. 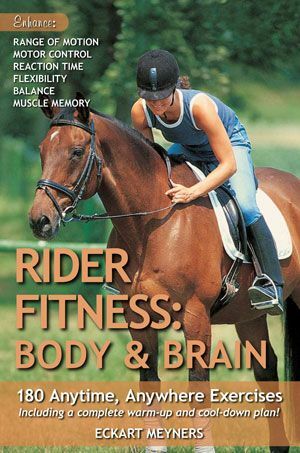 Flatwork set us up to feel the difference in our horses and then apply that feel in jumping exercises. George immediately zeroed in on my jumping position, telling me I needed to close my hip angle and lean forward, taking weight off Carlos’s back. This was his major critique of my riding, but throughout the clinic he acknowledged my practicing the adjusted position and encouraged my work to improve. Looking back now at those three clinic days, I’m so proud that I met the challenges. We jumped a progressively wider water jump and rode well through some difficult exercises that tested flexibility of stride length, straightness, and tight turns. 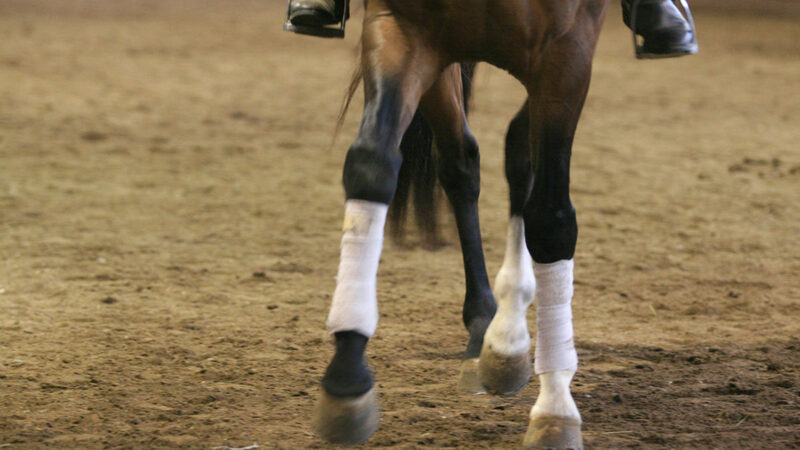 By Day 2, after flatwork and jumping without stirrups, George had me leading the group in most of the jumping exercises, which was exciting because having audited so many clinics, I knew what it meant: he thought I would bring confidence to the rest of the group. There were definitely also some clumsy moments! Carlos and I haven’t had much practice jumping a bank, and at first we had a stop when he didn’t want to jump down over the small jump set at the bigger end of the bank. After I went to the stick hard and got him off the bank, I had a fire-breathing dragon underneath me for the rest of the day. 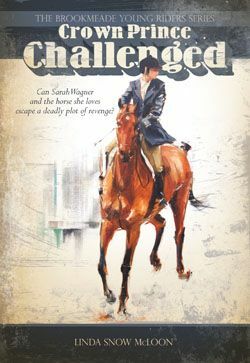 I also halted at the wrong post in the fence line after someone had already made the same mistake ahead of me…George was very annoyed—and I heard about it. 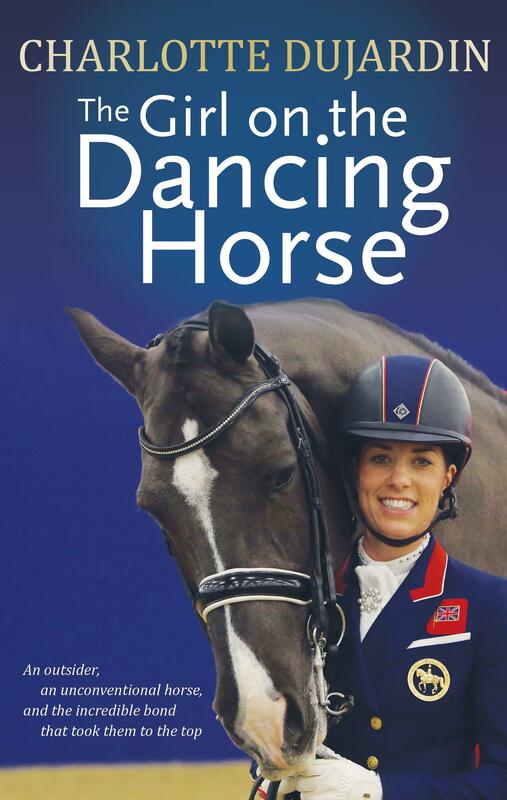 Then when he had us doing rider stretches, reaching down to touch our toes without stirrups, I knocked my helmet loose and my tucked-up ponytail started to slip out. Hair disaster! He was right, of course. 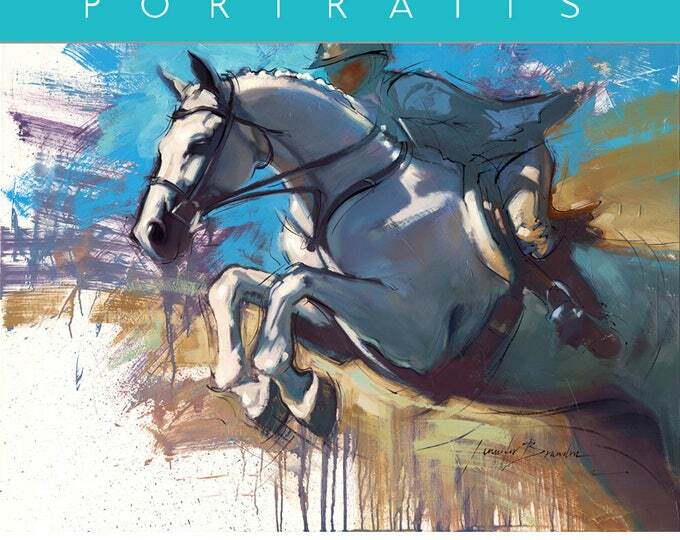 But what a picture that rider saw as she looked up at George Morris from the ground. 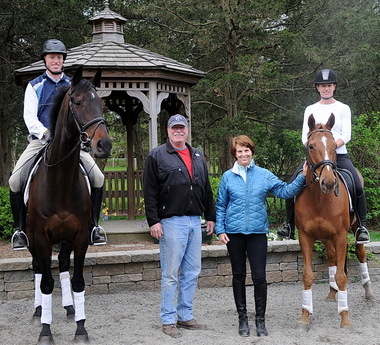 Every time George gave a compliment to any one of us, it lifted all of us up like we had climbed another step in showing him we, as a generation of riders, were worthy of the opportunity to learn from him. There was a silent, invisible vibration among the riders in my group. Although the rules of the road require that the riders not talk to one another during the clinic or even visibly laugh at George’s jokes (I’ve seen that go badly more than once), we were in it together and rooting for one another. I could feel it. And just like that, he had taken my flustered moment and made me into a momentary celebrity out of pure sweetness. George did not disappoint. He never does, does he? I was freaking out about being good enough to be in his clinic and wanting so badly to keep up with the group and belong out there. Now, looking back, I think to myself, “Don’t be silly—of course I belonged out there.” But maybe that’s just the post-George Karen talking. Maybe he instilled a level of certainty in those three days that makes the pre-George Karen a little bit of a stranger. One thing that solidified that theory was the horse show I had the week following the clinic at the Rose City Opener back down in Bend. 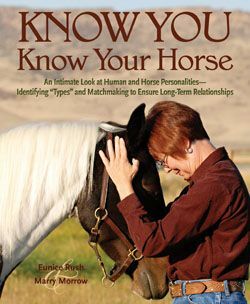 Just three days after getting home from the clinic, we were back in the show ring…and it was the best show Carlos and I have had together. We were consistently solid over all five days. We didn’t have a moment of doubt at a single jump. We got great ribbons all week, won the Ariat Medal class, and were Reserve Champion of our Hunter Division. 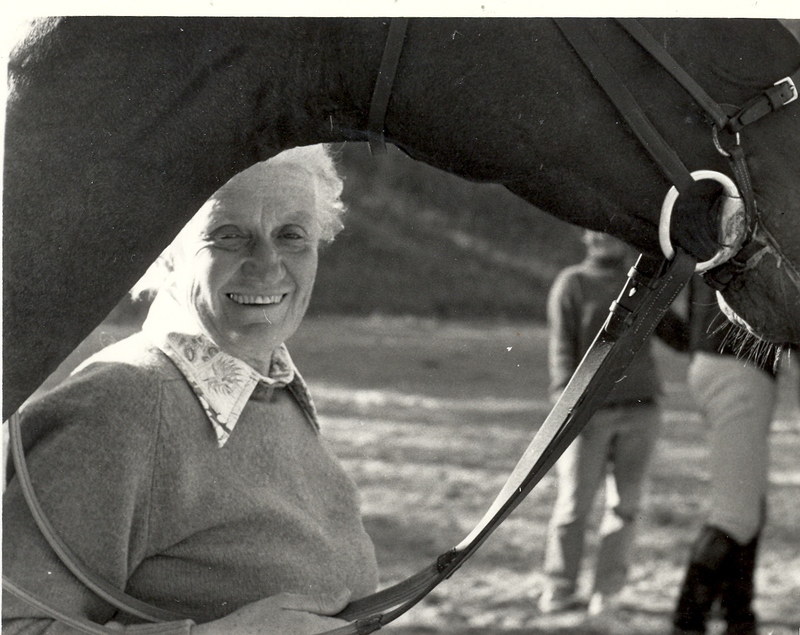 But it was the Derby that felt like a true application of what I had taken with me from riding with George. I had never made it to the second round of a National Hunter Derby in four tries. At Rose City, we not only made it to the second round, but in the end, we were fifth, besting some excellent professional riders. 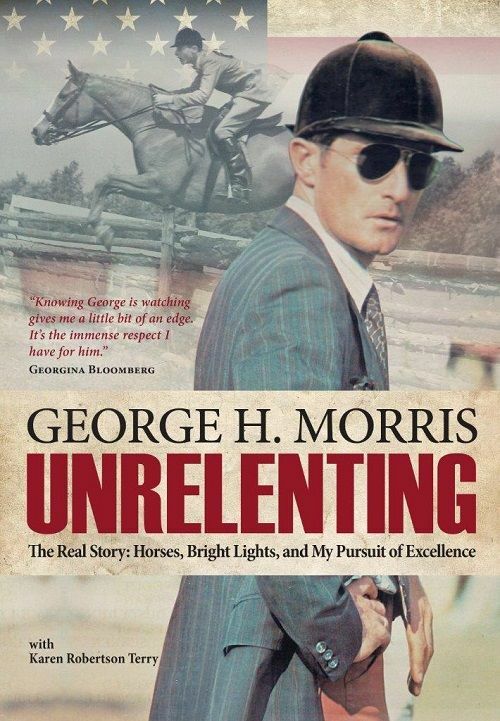 Karen Robertson worked with George Morris on his bestselling autobiography UNRELENTING, which is available from the TSB online bookstore. 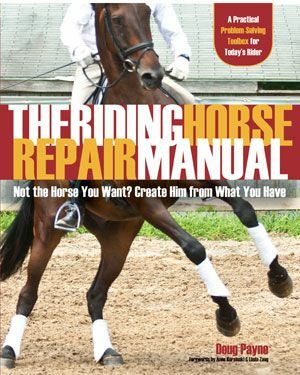 “There’s no need to take a break from lessons when inclement weather makes it difficult to ride this winter,” says the December 2013 review of THE AMERICAN HUNTER/JUMPER FORWARD RIDING SYSTEM in Practical Horseman Magazine. 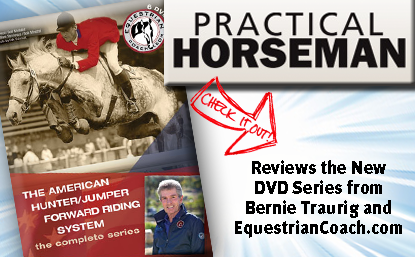 “This new DVD series from acclaimed rider, coach and clinician Bernie Traurig explores the building blocks of the American Hunter/Jumper Forward Riding System and offers easy-to-follow, step-by-step exercises. 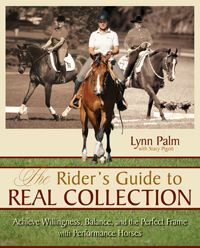 “Each disc in the set details an essential aspect of the system, which focuses on three fundamental principles—rider position, controls and the schooling of the horse. Traurig begins with a basic explanation of the system and a look at its history. 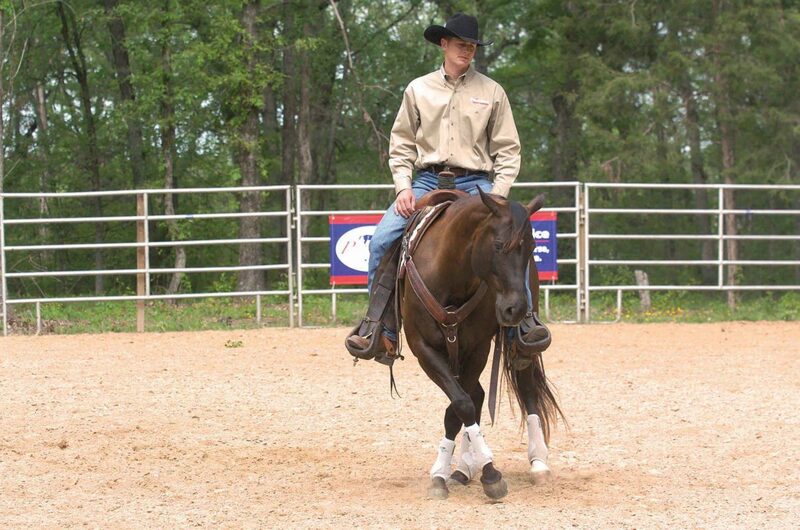 He moves on to discuss how to develop perfect position in the saddle and use rein and leg aids to control a horse. 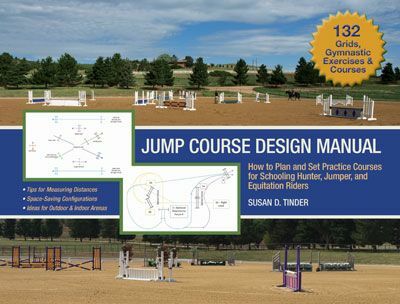 Then he demonstrates how to use the skills he has outlined while working over fences at beginner, intermediate and advanced levels. 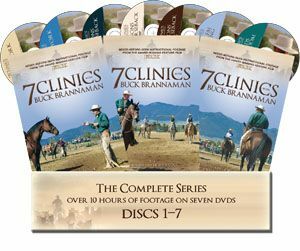 THE AMERICAN HUNTER/JUMPER FORWARD RIDING SYSTEM is available as a COMPLETE SERIES 6-DVD SET, or in three individual parts, from the TSB online bookstore, where shipping in the US is FREE. 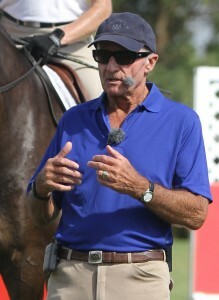 TSB loves EquestrianCoach.com! 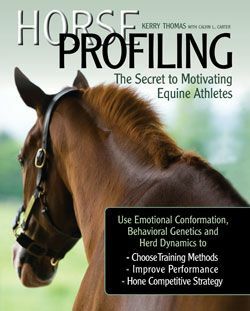 This phenomenal website is a portal to a broad selection of extremely well demonstrated equestrian tips, techniques, and sport-specific know-how. 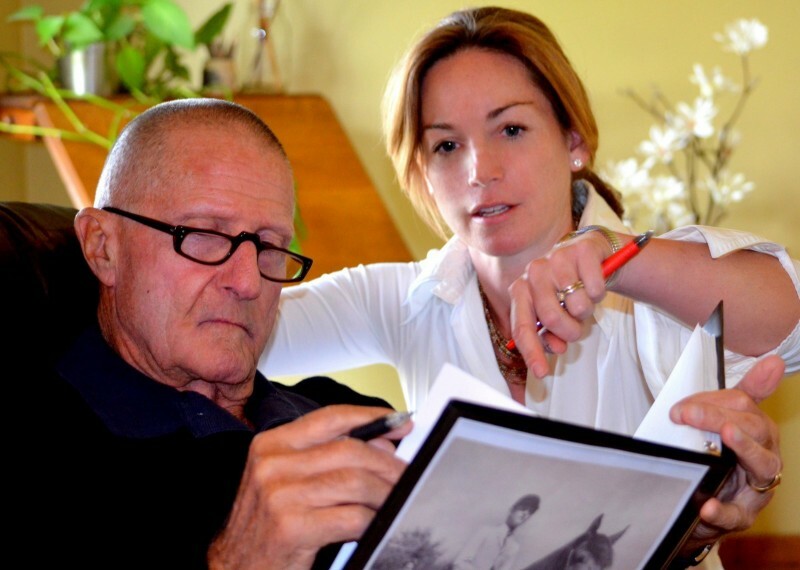 “EquestrianCoach.com was born out of my desire to reach people who are hungry for more riding and training education,” says founder Bernie Traurig. 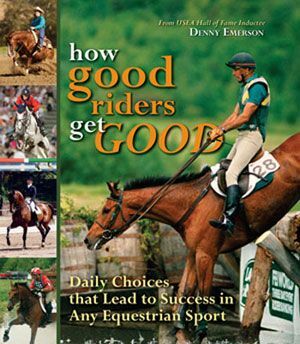 And don’t miss Bernie Traurig at Equine Affaire in Columbus, Ohio, April 10-13, 2014!